Data-driven technology is transforming our world, and IoT solutions are reshaping the enterprise edge, especially in retail. Jeff will talk about how personal and business expectations are on the rise, and how these expectations transcend into the retail market. He will explore examples of how data can be used to increase efficiencies and help improve customer experiences and retailers bottom lines. Jeff Schmitz became senior vice president and chief marketing officer at Zebra in February 2016. 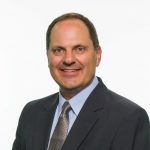 Mr. Schmitz most recently served as executive vice president for multiple business units and sales at Spirent Communications where he had previously also held several senior leadership roles including chief marketing officer and vice president of networks & applications. Prior to joining Spirent, Mr. Schmitz held senior marketing positions at Rivulet Communications, Visual Networks and Tellabs Inc. Mr. Schmitz holds a B.S. degree in electrical engineering from Marquette University and a Master of Science degree in computer science from the Illinois Institute of Technology.